Google is actively investigating reports of the Pixel 2 XL suffering from screen burn-in. This is after some people noticed the telltale signs of screen burn-in on their new Pixel 2 XL handsets. While screen burn-in is fairly common, the fact that this is happening after just one week is worrying. For the uninitiated, screen burn-in How to Prevent Burn-In on AMOLED Screens and AMOLED Displays How to Prevent Burn-In on AMOLED Screens and AMOLED Displays Use these tips and methods to prevent AMOLED burn-in and prolong your smartphone screen or laptop display. Read More is when part of a display retains a ghostly image of a logo, icon, or something else after it has remained on screen for too long. It’s why screensavers were originally invented. However, you don’t expect to see it on a flagship such as the Google Pixel 2 XL. This issue was first spotted by Android Central, with one of its Pixel 2 XL review units showing signs of some serious screen burn-in after just a week of regular use. This on a screen which has already been criticized by some reviewers for issues displaying vibrant colors and detailed textures. This tweet prompted responses from other Google Pixel 2 XL owners who have also noticed significant ghosting on their phones. The main area of concern is the navigation bar at the bottom of the screen, with an after-image of the Back, Home, and Multitasking buttons clearly visible. Screen burn-in is common on OLED screens. However, it usually takes months of heavy use for it to reveal itself, and it certainly shouldn’t be appearing after just one week of normal use. So, if this is screen burn-in, and not just image retention, Google has a serious problem on its hands. It isn’t yet clear how many handsets are affected by this issue. It could be every single one, or just a handful with faulty displays. 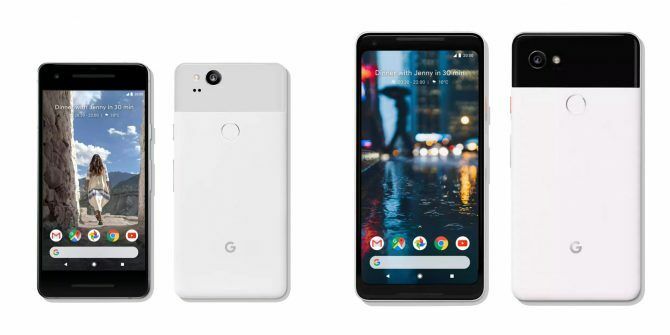 Regardless, if you’re experiencing this problem and aren’t happy with your Google Pixel 2 XL Google Pixel 2 and Pixel 2 XL: Everything You Need To Know Google Pixel 2 and Pixel 2 XL: Everything You Need To Know The Google Pixel 2 and Pixel 2 XL are here -- so here's everything you need to know about them. Read More as a result, you should be entitled to a replacement or refund. Do you own a Google Pixel 2 XL? If so, have you noticed any screen burn-in or image retention? Does this put you off buying a Pixel 2 XL? Or do you suspect the problem is being blown out of proportion by overeager journalists? Please let us know in the comments below! Explore more about: Google, Google Pixel, Touchscreen. mine has screen burn in already. i would have never noticed it but if its already there in a week whats it going to be like in a few months ? i will wait for googles response before i waist any time getting a new head set sent to me.